On Mother's Day the lovely people at Boden gifted me this Nancy dress in navy etched spot and I loved it SO much I had to get the sunflower print one too. It's a gorgeous mustard yellow colour and is the most flattering and well fitting dress I've ever worn. This will make a great transitional piece as the colour is perfect for both Summer and Autumn, and I think it will look equally awesome with bare legs and a pair of Mohedas or Saltwater sandals as with tights, brogues and a cardie later in the year. 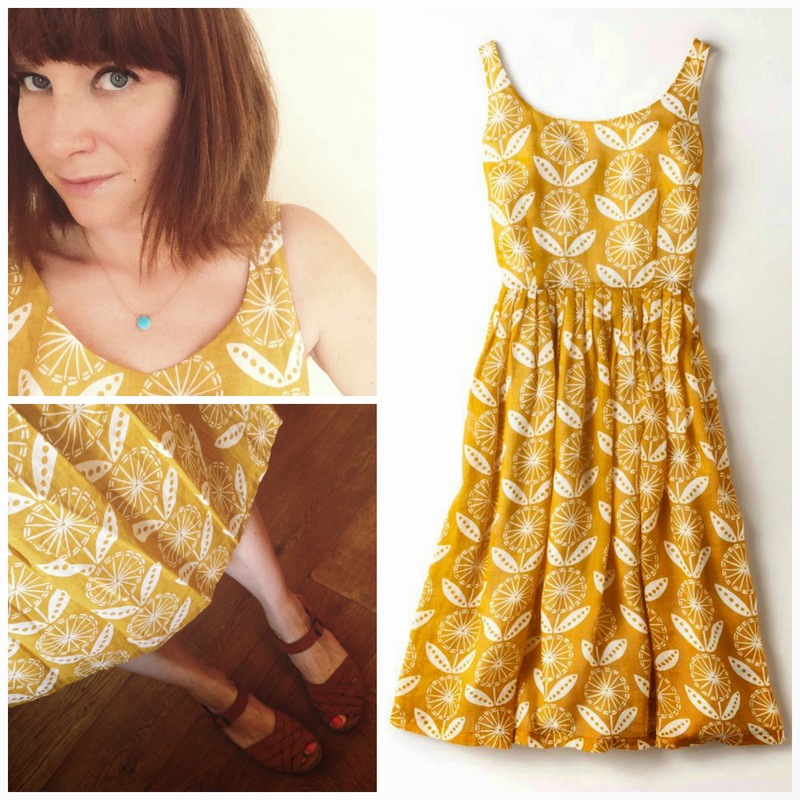 DISCLAIMER: Boden gifted me this sunflower Nancy dress.